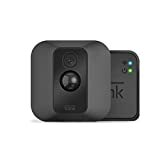 Doorbell Cameras with Night Vision: What Are My Options? SkyBell has the ability to integrate with a variety of home automation devices, such as motion detectors, timed lighting systems and more. Its on-demand feature provides you with live video feeds, which allows you to check your porch activity at any time. If you’re at home, you can see exactly when the postman or delivery person drops off your packages. If not, and you’re packages get stolen, you’ll be able to record the thief in action. One of the most attractive features of the SkyBell is the color night vision. It allows you to see anyone who is trying to steal your property or break into your house. Because it is powered by your doorbell, you do not need a separate power source to get it to work. The iseeBell is a great choice for first-time users of video doorbells because it offers simple installation and many features at an affordable price. Its dedicated smart app (compatible with iOS and Android) lets you monitor your home while you’re at work or on vacation. You can receive alerts of any activity that occurs on your front porch and take pictures of any crimes that occur, as they happen. The iseeBell shoots in 720p HD and provides a 180-degree ultra-wide field of motion, day or night. You can go to the cloud storage system and retrieve any captured content that records. All-in-one kit includes video doorbell, indoor nightlight chime and everything you need for installation. 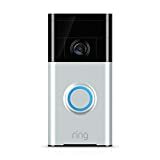 Armed with motion-activated alerts, the Ring Video Doorbell 2 lets you watch over your home and answer your door at any time, day or night, at home or across the world. It offers a flexible design, which allows you to run it off its internal battery pack or connect it to your doorbell wiring. Are you interested in protecting your home from thieves and other criminals? Then get a free quote from Protect America. We can offer a solution that suits your needs. Don’t forget to visit our blog, where you can receive helpful tips to keep your home safe!